Based on the published and approved matrix, fuel surcharge rates for domestic flights are divided into five categories, depending on flight distance. Domestic air fares according to CAB estimate could be slapped with an additional cost of up to P769 and those for international flights by as much as P9,860 with the reimposition by local carriers of the fuel surcharge. 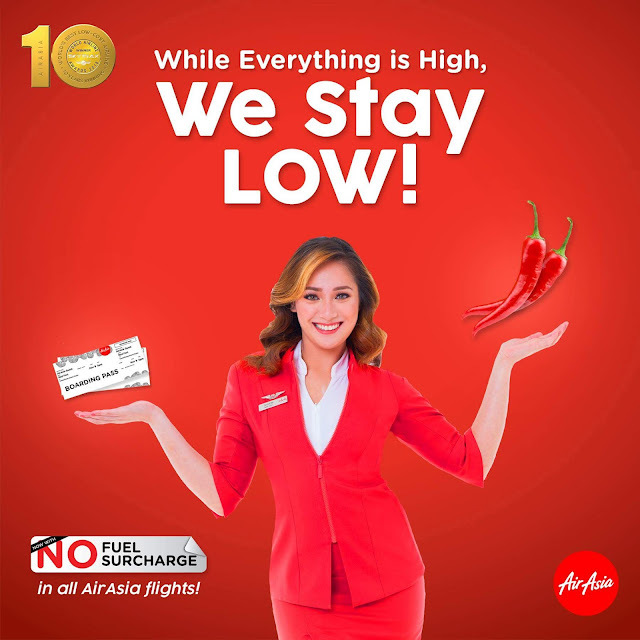 “We are closely monitoring the impact of high oil price on our operations, however, we are also working hard to offset the sharp jet fuel costs by adopting cost efficient measures across the network or within the AirAsia Group,” Comendador said. Thanks for reading! Don't forget to like and follow Life in Technicolor on Facebook and Instagram!